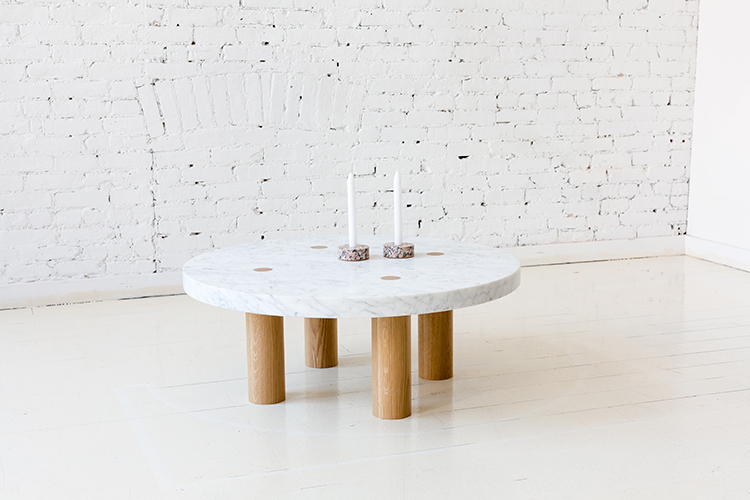 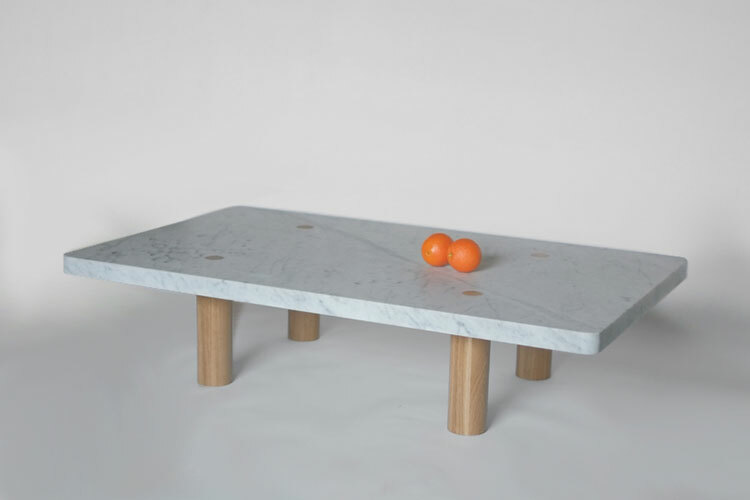 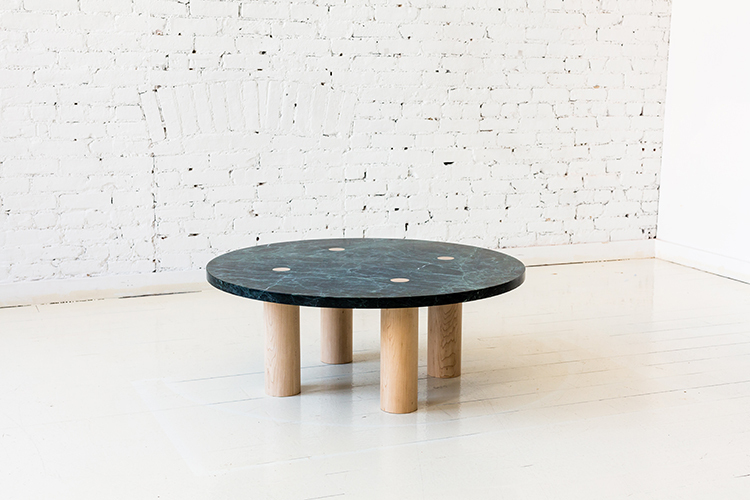 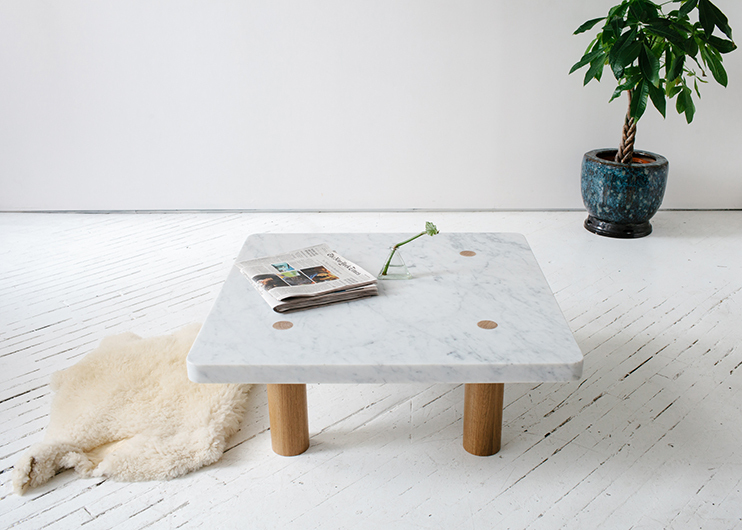 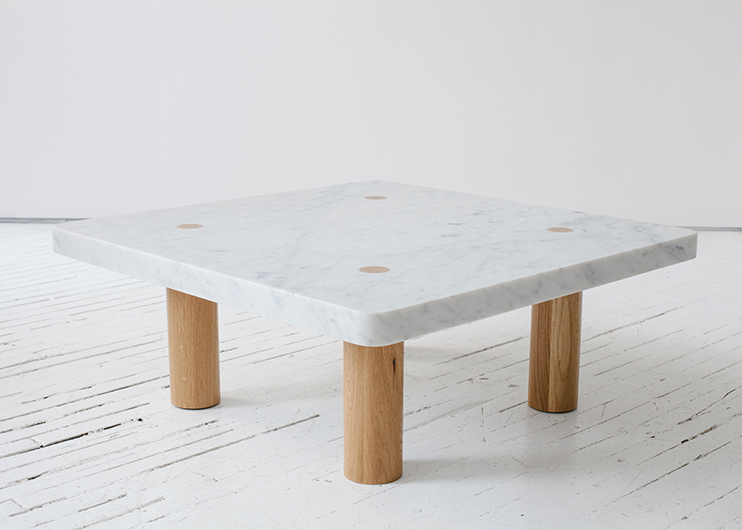 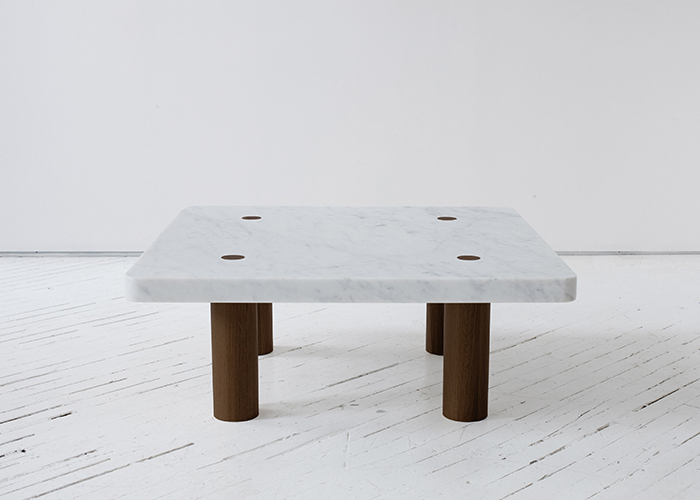 This beautifully minimal coffee table features a stone top. 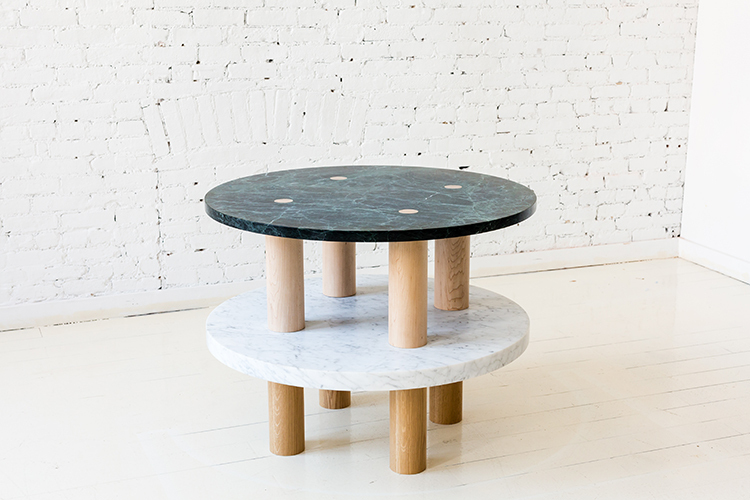 Each large round leg has a tenon that pierces the top to reveal the joinery and removes the need for any other structural components. 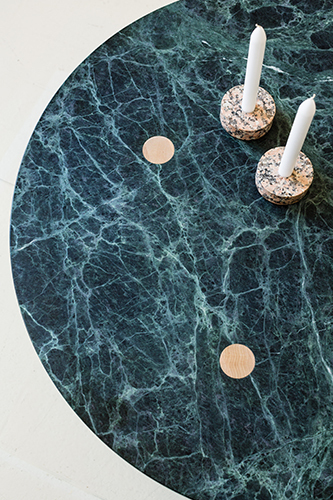 This detail communicates the solid construction, while creating a beautiful flush surface detail. 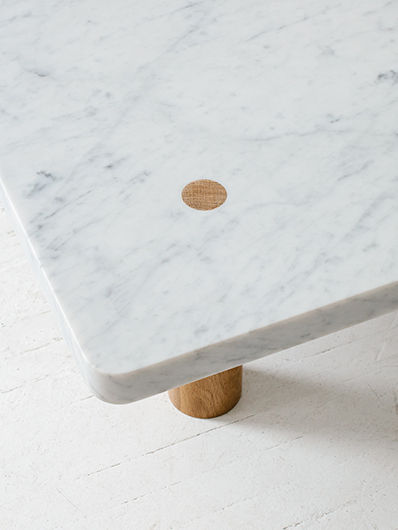 Custom sizes, materials and finish available.